Eucharistic Adoration is a devotional practice in the Catholic Church in which Jesus, truly and fully present in the Blessed Sacrament (consecrated host), is adored by the faithful. Eucharistic Adoration extends from the Liturgy of the Mass during which the substance of bread is fully transformed into the substance of Christ -- Body, Blood, Soul, and Divinity -- during consecration. Eucharistic Adoration is a time of worship and communing with Jesus, praying silently or aloud with a group, and listening to His voice in the silence of our hearts. 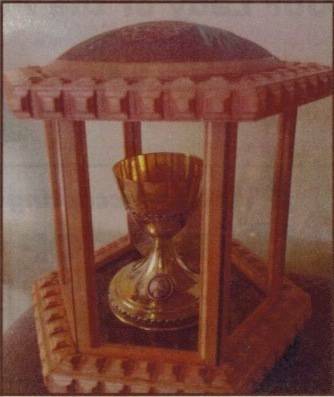 During adoration, the Blessed Sacrament is displayed in a monstrance, as in the photo to the left. Eucharistic Adoration begins each first Friday of the month after the 9:00 am Mass and continues until 12:00 pm in the Church. Prayer is the practice of the presence of God. It is the place where pride is abandoned, hope is lifted, and supplication is made. Prayer is the place of admitting our need, of adopting humility, and claiming dependence upon God. Prayer is the needful practice of the Christian. Prayer is the exercise of faith and hope. Prayer is the privilege of touching the heart of the Father through the Son of God, Jesus our Lord. 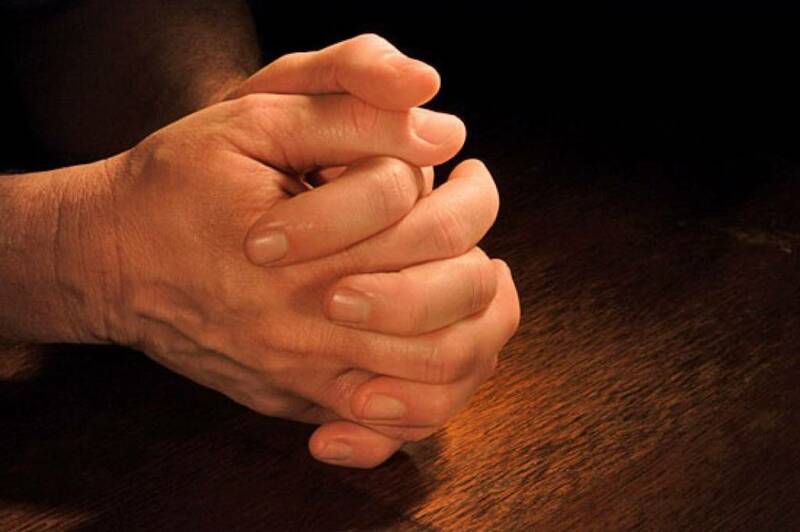 Click here for a page that will link you to additional prayer resources. The Traveling Chalice ministry provides families the opportunity to receive our Traveling Chalice into their home with the intention of spending time praying for vocations of the Priesthood, Deaconate, Religious Life, and Lay Vocations. For more information on this ministry email: TravelingChalice@ourladyofthepines.org.